The map above shows examples of Su’s multicultural work experience. Yellow starts show countries where Su has traveled to give presentations, conduct interviews and attend conferences. 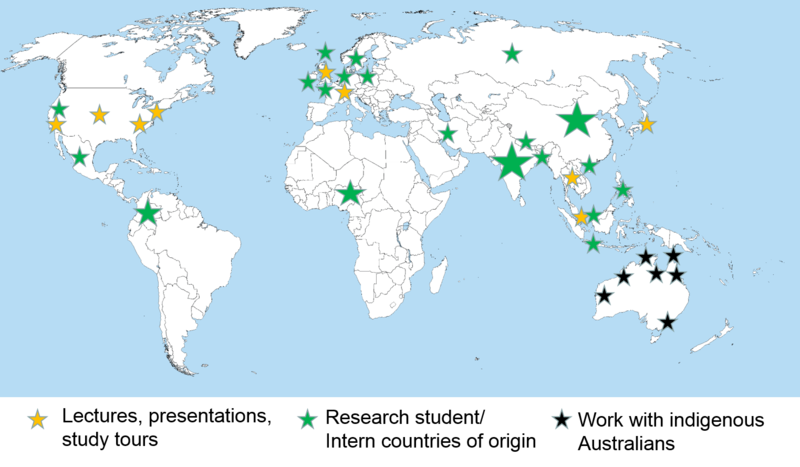 Green stars are the countries of origin of Su’s research students and interns. The larger stars show examples where many students have been from the one country. Black stars in Australia show locations of indigenous communities that Su has worked with. This work includes meetings, interviews and other liaison.